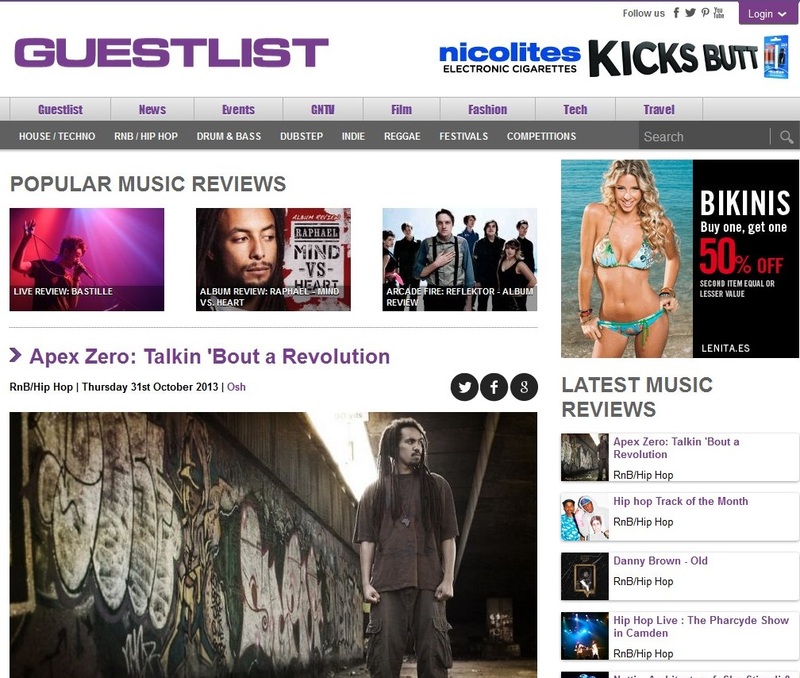 Apex Zero took some time out recently to speak with Andrew Kay for British magazine Guestlist recently to speak on his new album “Reality Provoking Liberation” which released on Monday 28th October. It’s the debut solo album from the London rapper and producer, a brief departure from his work as part of the hip hop duo First and Last. It’s had an impressive media response in the past couple of months, with an appreciation not only for the conscientious lyricism addressing a range of political and social issues, but the ferocity of the delivery and quality in production.